The “cost” of an epidemic such as Ebola usually targets the dollar toll in hospital fees and economic downturns. But the loss of lives and the measure of suffering remains a lasting and growing cost. Gionni Crawford, 20, is looking for a job. A recent graduate from Specs Howard School of Media Arts in Southfield, Michigan, Crawford will be relocated from his job as a cellphone vendor at his hometown Target in Detroit when it closes at the end of the month. 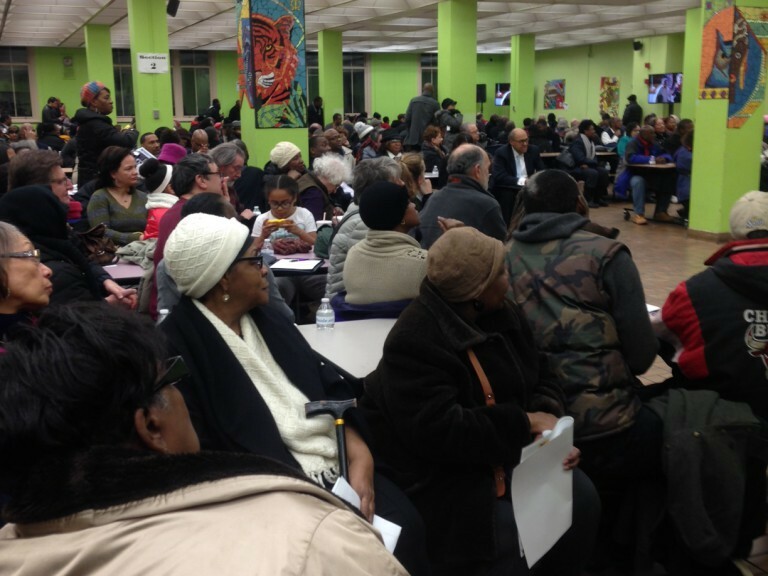 Nearly 1,000 community leaders and residents gathered in Hyde Park for a public meeting Tuesday night, where tensions flared over using roughly 20 acres of Chicago Park District land for the Barack Obama Presidential Library.